#ScreenTalker: Google Releases Android 3.1 Today For Verizon Xoom Customers! 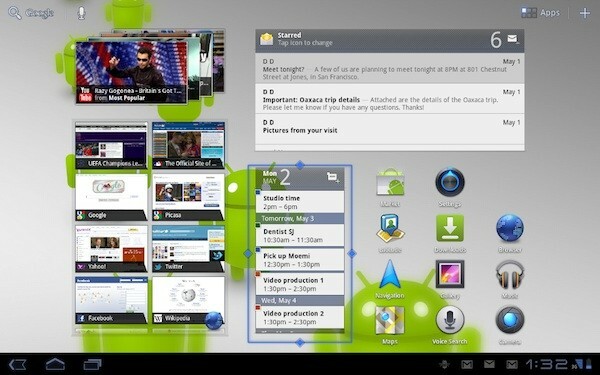 Google Releases Android 3.1 Today For Verizon Xoom Customers! Google has just announced Android 3.1 for Verizon Xoom 3G customers today. Improvements and refinements includes Google's new Movies app that will let you rent thousands of movies from the Android market, a new Books app, a new video editing app called Movie Studio, and updated versions of most of Google's main apps, including a "faster" web browser with a new Quick Controls menu -- and to top things off, the OS will be hitting Google TV enable sets this Summer. Further additions include resizeable widgets, a host mode that will let you import photos to your tablet directly from your digital camera. Android will now also let you take control of a number of USB devices such as Xbox 360 and PlayStation 3 controllers. Unfortunately, there's still no word on when it will hit non-Verizon 3G Xoom tablets.